Yesterday I had to pick some friends up from the train station in Alicante. 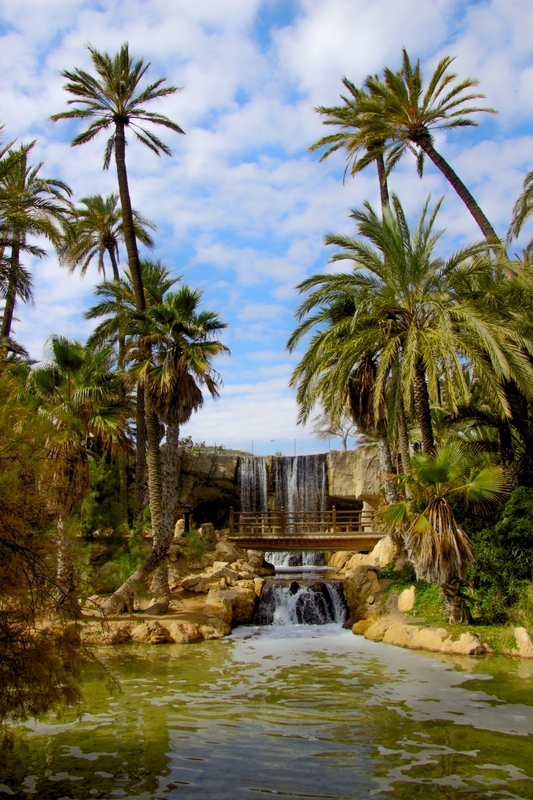 It was a nice day, so we thought we would stop off on the way to have a stroll around the El Palmeral park and find a spot to sit and eat a packed lunch. What a great decision it was. 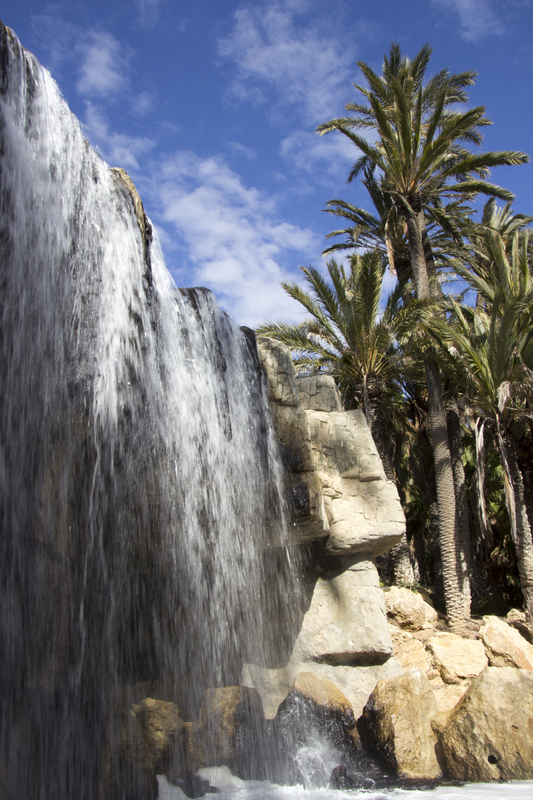 An oasis of calm within earshot of the sea. 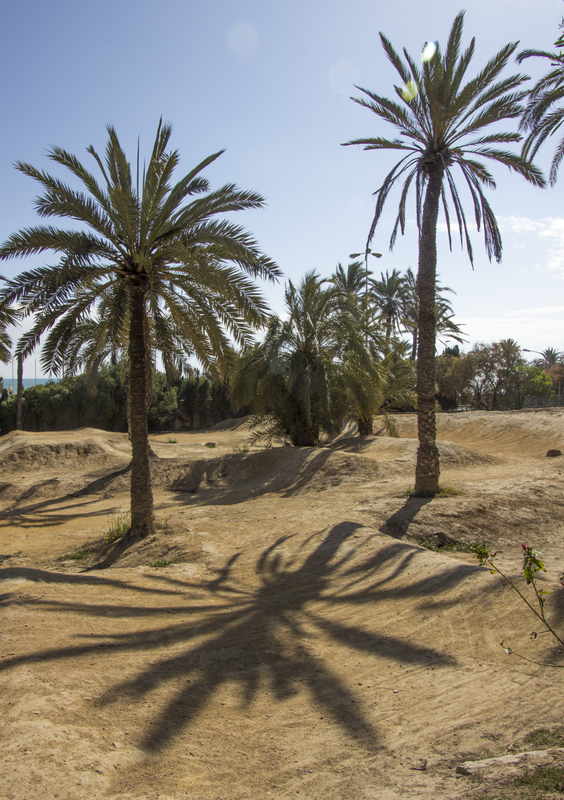 This park on the southern edge of Alicante is not the biggest Palmeral in Spain. I believe the one in Elche holds that title. Even so, should you be in the area for some reason and find yourself with an hour or so to kill, it’s well worth a visit. 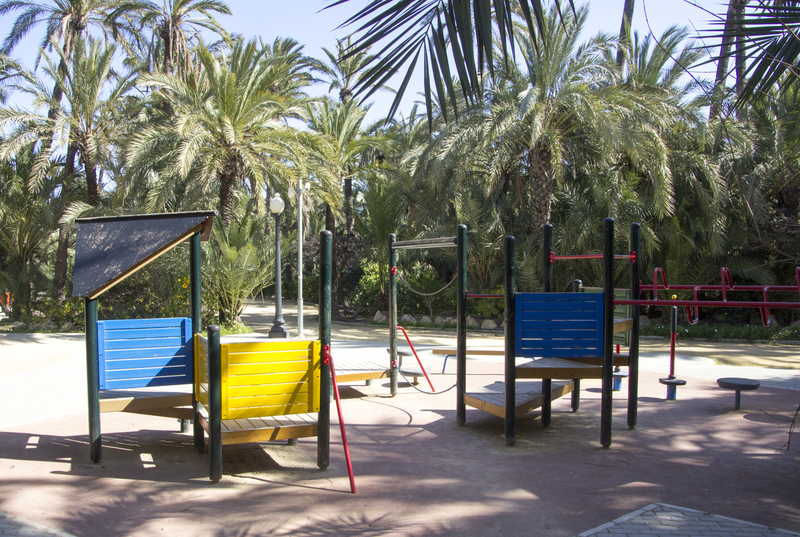 Inside the park you can walk around the palm trees, admire the lakes, waterfalls and fountains, work out on the exercise machines which are scattered around, or entertain the kids in the play-park area. It looks like small boats are for hire in the summer too, but you won’t be able to go very far on them! The park is free to visit and has a cafe where you can sit and watch the world go by. The toilets are very clean, unless you are unlucky and a party of school children has just been there en masse!! There is even a small outdoor theatre which hosts events for children on Sundays at various times of the year. Keep an eye out on websites like Alicantemag.org for more details. 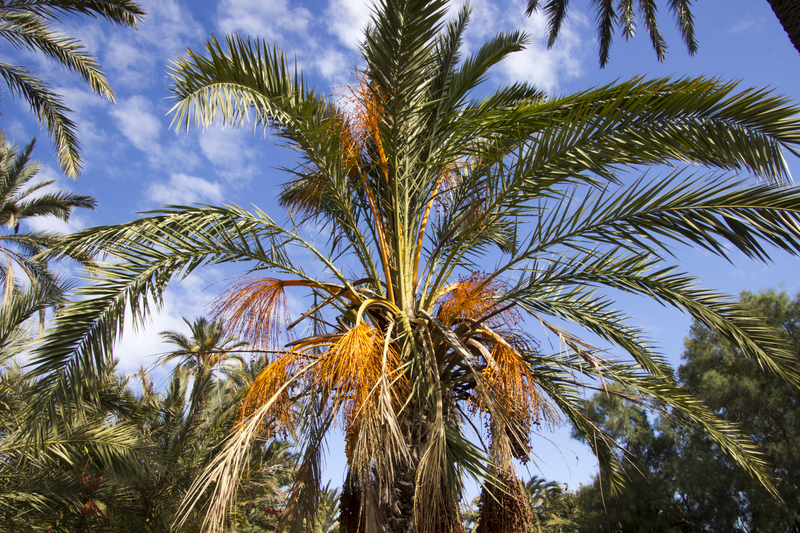 Of course, it’s not just about the palm trees. 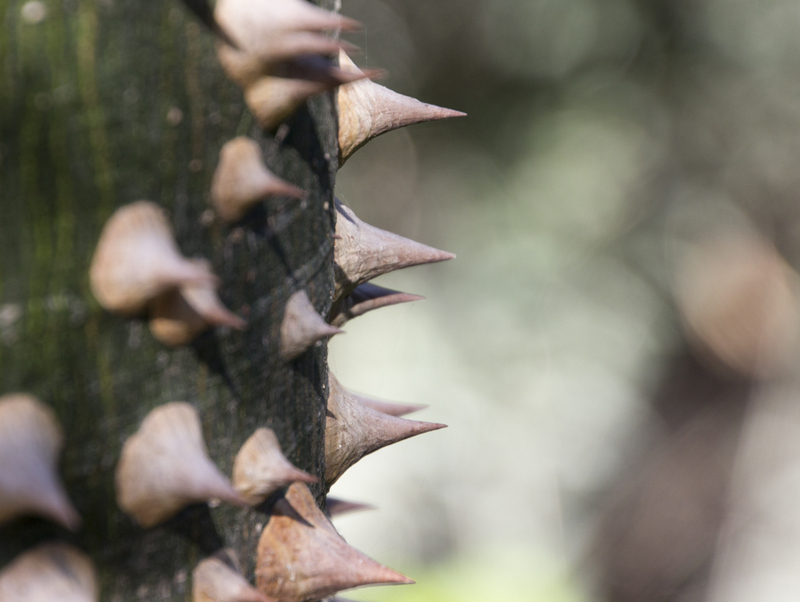 There is a wide variety of plants, cacti and flowers around the park for you to enjoy. 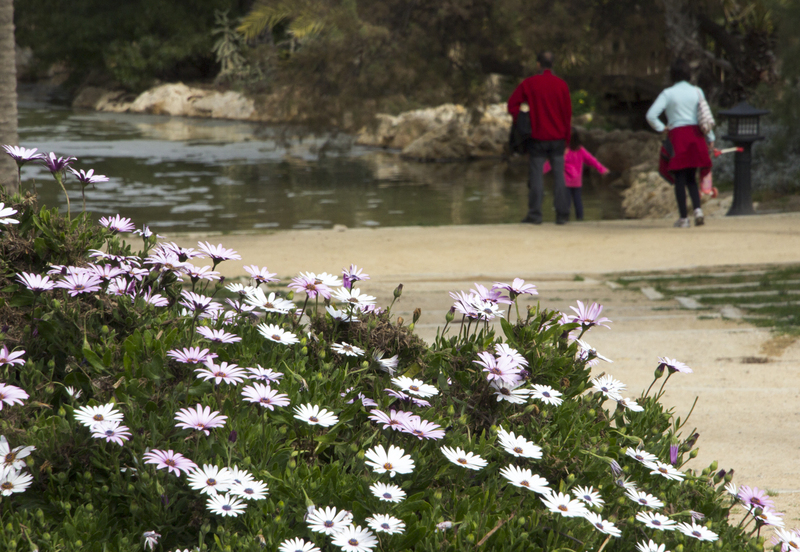 Spring is almost here so it should soon be in full bloom with a kaleidoscope of colour. For the more active visitor, there did appear to be a five-a-side football pitch in the middle of the park and a BMX bike course in one corner. Nobody was using either facility though, but I quite fancy taking my mountain bike for a circuit or two! Enjoy the photos and then go and see it for yourself. That’s a new one on me, Russ. Where is it in relation to the station (or the N332). Lovely pics. As you head to Alicante on the N332, it’s on the left just after Ciudad de la Luz. You have to go past it, then U-turn (where you are allowed to!) to get there.